Comics Plus: Library Edition: The new digital revolution bringing thousands of digital graphic novels and comics are only a click away! Freegal: A downloadable music service that the Westchester Library System subscribes to. All you need to access the service is your Westchester Library card. Patrons now receive five weekly downloads and three hours of music streaming per day. Freading: A downloadable eBook service offered by the Westchester Library System. Google News Archive: Search and explore information from historical archives dating back over 200 years. Hoopla Digital is a groundbreaking digital media service that allows you to borrow movies, music, audiobooks, ebooks, comics and TV shows to enjoy on your computer, tablet, or phone – and even your TV! With no waiting, titles can be streamed immediately, or downloaded to phones or tablets for offline enjoyment later. You will need your library card number and PIN number to establish an account. Kanopy video streaming is now available for patrons age 13 and older. The Kanopy collection offers a broad selection of more than 30,000 feature films, documentaries, foreign language, and training videos, including: the Criterion Collection, The Great Courses, the Frontline series, and international films. PressReader: Get all-you-can-read magazines and newspapers to keep informed, entertained and inspired every day. PressReader connects you with the stories you love from thousands of premium publications around the world. Discover, share and talk about the news that matters to you. Use at home or in the Library. RB Digital Audiobooks Access exclusive Recorded Books audiobook titles, as well as other popular eBooks and audiobook titles that your library offers. Tumblebooks: An online collection of animated, talking picture books, reading comprehension quizzes, educational games and teacher resources for libraries. Biblioteca TumbleBooks Son libros animados, con ilustraciones que hablan, para enseñar a losniños los placeres de la lectura en un formato que les encantará. Total Boox: Total BooX lets WLS patrons read, share and discover books with no restrictions, no waiting lists and no tokens. Novelist Plus: Reader-focused features such as reading recommendations, series information, book reviews, book jackets, and more. Academic Onefile The premier source for peer-reviewed, full-text articles from the world’s leading journals and reference sources. Extensive coverage of the sciences, technology, medicine, the arts, theology, literature and other subjects. Barprephero.com– Free MBE bar exam practice questions to help you get the MBE certification in 2017. No registration required. Business Economics and Theory Provides access to academic journals and magazines focusing on topics in economics and related fields. The database has an emphasis on titles indexed in the American Economic Association’s EconLit bibliography. 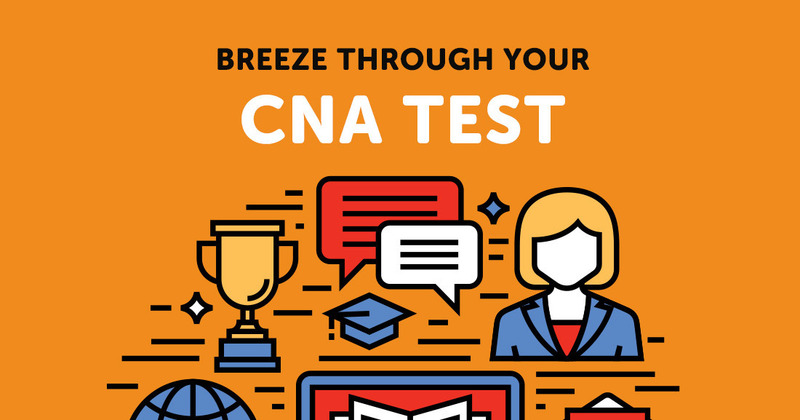 CNAplus.com– CNA.plus is designed to help US learners pass their Certified Nursing Assistant (CNA) test.The site provides free practice tests that simulate the official exam. All test questions are based on the 2016 National Nurse Aide Assessment Program (NNAAP®), which is the written test that most states use. Communications and Mass Media Collection – Provides access to academic journals and magazines focusing on all aspects of the communications field. Key subjects covered in the database include advertising and public relations, literature and writing, linguistics, and more. Computer Database – Provides access to leading business and technical publications in the computer, telecommunications, and electronics industries. The database includes computer-related product introductions, news and reviews in areas such as hardware, software, electronics, engineering, communications, and the application of technology. Criminal Justice Collection – Access to academic journals and magazines on topics in criminal justice and related fields. Key subjects covered in the database include law, law enforcement, security, and terrorism. Culinary Arts Collection – provides access to academic journals and magazines on all aspects of cooking and nutrition. The database includes thousands of searchable recipes, restaurant reviews, and industry information. Directory of Open Access Journals – The premier source for peer-reviewed, full-text articles from the world’s leading journals and reference sources. Extensive coverage of the sciences, technology, medicine, the arts, theology, literature and other subjects. Diversity Studies Collection – Provides access to scholarly journals and magazines that explore cultural differences, contributions, and influences in the global community. The database is a must-have for social science, history and liberal arts coursework. DMV PERMIT TEST–This is a free resource that both aspiring and existing drivers can use to test and improve their driving knowledge, thus making public streets and highways safer for all road users. Encyclopedia Americana In-depth information for older students and adults. Environmental Studies and Policy Collection– Access scholarly journals, magazines, and other reference sources covering environmental issues and policies. The database includes diverse perspectives from the scientific community, governmental policymakers, and corporate interests. Fine Arts and Music Collection – Access to scholarly journals and magazines that support research in areas including drama, music, art history, and filmmaking. The database emphasizes full-text content for publications included in the Wilson Art Index and RILM bibliography. Learn English: Practice and learn English using several websites that include: Grammar, Vocabulary, Listening, Reading, Pronunciation and Writing. Test your progress with games and quizzes. Get Your GED: Connect to websites that can help build your knowledge and skills you will need to pass the GED. You will also find general information about the GED and how to take the GED test in New York State. How computers work and tutorials on how to use software. Foreign Languages – Are you interested in a foreign language? Select the region in which your language of interest is spoken, and get started today! Gardening, Landscape and Horticulture Collection– Provides access to academic journals and magazines focused on both the practical aspects as well as the scientific theory of horticulture studies. The database offers biotechnologists, farmers, hobbyists, and landscape architects alike access to important content relevant to their pursuits. Gender Studies Collection – Provides balanced coverage of this significant aspect of culture and society. The database offers access to scholarly journals and magazines covering topics including gender studies, family and marital issues, and more. General Science Collection – Provides access to scholarly journals and magazines covering the latest scientific developments. Key subjects covered by the database include biological sciences, computing, engineering, and technology. Health Reference Center Academic – Provides access to medical and professional periodicals, health and fitness magazines, and reference books and pamphlets. The database is designed for both nursing and allied health students as well as consumer health researchers. The material contained in this database is intended for informational purposes only. Health Tutorials– More than 300 educational videos with basic health information about illnesses or conditions, medical tests and procedures. Home Improvement Collection – Provides access to titles covering topics including architectural techniques, tool and material selection, zoning requirements, and others. The database offers content that meets the needs of hobbyists and professionals alike. Hospitality, Tourism and Leisure Collection – Provides access to scholarly journals, magazines, and trade publications that cover topics including the cultural and economic aspects of travel and tourism. The database offers current and relevant content that provides well-rounded coverage of both the historical and current state of affairs in the hospitality and tourism industries. Information Science and Library Issues Collection – Provides access to scholarly journals and trade publications essential for information professionals and other knowledge workers. The database offers coverage of topics including information infrastructure, metadata architecture, publishing, and more. Informe Academico – Informe Académico meets the research needs of Spanish-speaking users with a wide range of full-text Spanish- and Portuguese-language scholarly journals and magazines both from and about Latin America. Informe Académico provides quality reference material–not simply translations of English-language materials–on a powerful, easy-to-use interface configured for Spanish-speaking users, allowing researchers to analyze topics and conduct research in Spanish. Infotrac Newsstand – provides access to full-text newspapers and allows users to search articles instantly by title, headline, date, newspaper section, or other fields. The database offers a one-stop source for current news and searchable archives. Insurance and Liability Collection – provides access to academic journals and trade publications covering the insurance industry and topics such as labor relations, mortgage banking, legal issues, and more. The database offers content of interest to individual property owners and multinational corporations alike. La Nueva Enciclopedia Cumbre – A Spanish language encyclopedia written from a Latin American perspective. Lands and Peoples – For middle and high school students and includes articles on countries, cultures and current events. It also includes an atlas and almanacs. Learning Express Library 3.0 – Register to access practice standardized tests for 4th, 5th, and 8th grades; GED, SAT, ACT, AP, GMAT, ESL, Civil Service exams, US Citizenship and more. Lynda.com – An online program that helps professionals, artists and other learners improve their computer and design skills. If you want to learn about 3D printing or web design, to develop your video, audio, production skills, or to learn about business planning, Lynda.com is the place to go for video lectures and tutorials. Mergent Archives is an online database featuring a vast, indexed collection of more than a century’s worth of global corporate and industry related documents. This collection contains hundreds of thousands of reports covering over 100 countries and industries. Mergent Archives uses a reliable and easy-to-navigate system designed to meet your historical research needs. For home use, click here. Mergent Intellect Powered by Hoover’s™, a Dun & Bradstreet Solution, Mergent Intellect is a flexible web-based application that features a deep collection of worldwide business information that enables companies to generate insightful business intelligence. For home use, click here. Mergent Online This state-of-the-art product provides Internet-based access to the most detailed, accurate and comprehensive global company database available, with the latest in features and functions. For home use, click here. Multimedia Encyclopedia – Quick-reference with rich media for middle-school and higher. Nursing and Allied Health Collection – provides access to academic journals and other reference content covering all aspects of the nursing profession, from direct patient care to health care administration. The database offers current and authoritative content for professionals already working in the field as well as students pursuing a nursing-focused curriculum. Opposing Viewpoints in Context– An engaging online experience for those seeking contextual information and opinions on hundreds of today’s hottest social issues. Drawing on the acclaimed Greenhaven Press series, the solution features continuously updated viewpoints, topic overviews, full-text magazines, academic journals, news articles, primary source documents, statistics, images, videos, audio files and links to vetted websites organized into a user-friendly portal experience. Pop Culture Collection– provides access to scholarly journals and magazines that both analyze and contribute to popular culture. The database offers useful information for researchers in social science, history, art or liberal arts courses. Popular Magazines – provides access to the most searched magazines across the InfoTrac products. All of the titles are selected based on actual publication searches performed by library patrons and the database includes many titles recommended by Bowker’s “Magazines for Libraries”. Psychology Collection– Provides access to academic journals and magazines that cover the study of emotions, personality, and the human mind. The database offers content of interest to both researchers and general users. Small Business Collection – Provides access to academic journals and magazines perfect for both business school students and entrepreneurs. The database offers content that includes insights, tips, strategies and success stories. The New Book of Popular Science For middle and high school students and includes articles in the areas of science, technology and medicine. U.S. History Collection – Provides access to scholarly journals and magazines useful to both novice historians as well as advanced academic researchers. The database offers balanced coverage of events in U.S. history and scholarly work being established in the field. Vocations and Careers Collection – Provides access to journals and magazines that aid users in researching a vocation, finding an appropriate institution of learning, job searching, and maintaining a career. The database offers current and applicable content from general career guides to highly specialized industry journals. War and Terrorism Collection – Provides access to academic journals and magazines of interest to analysts, risk management professionals, and students of military science, history, and social science. The database offers balanced coverage of both historic and contemporary topics in the fields of war and terrorism. World History Collection – Provides access to scholarly journals and magazines useful to both novice historians as well as advanced academic researchers. The database offers balanced coverage of events in world history and scholarly work being established in the field.